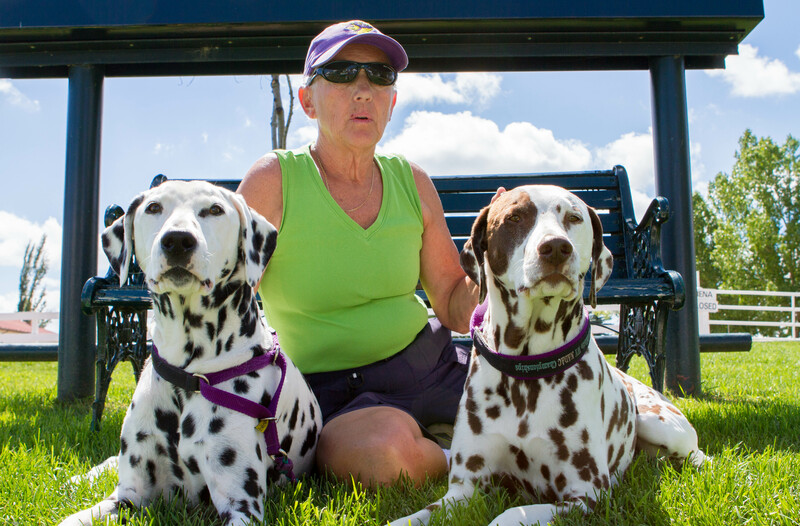 Number 48 & 49 This is Coach and Dexter, two adorable Dalmatians, and their person, Sandy. 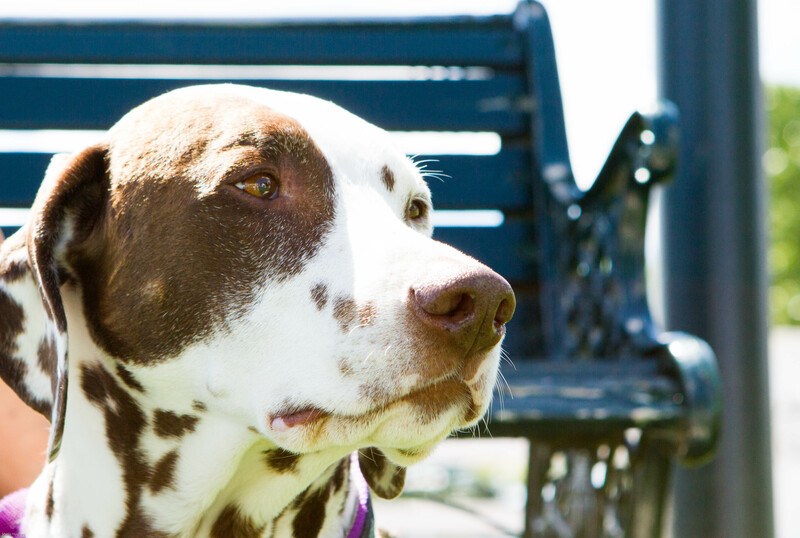 Coach is the love bug of the two, happy to cuddle and get attention from strangers and friends alike. He is black and white and handsome all over. Dexter is the more reserved of the two, at least when you first meet him. 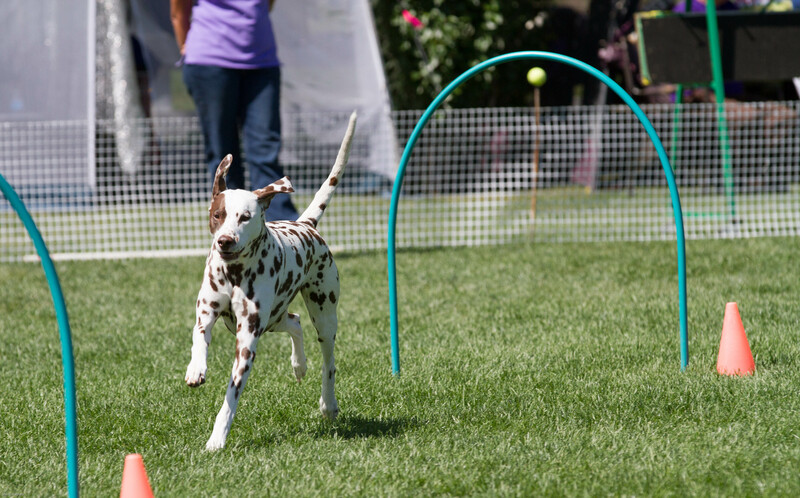 He is a beautiful liver spotted Dalmatian. 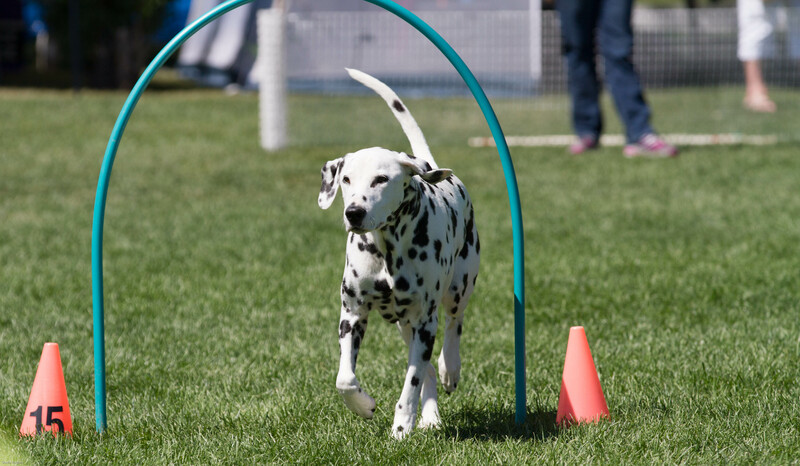 We met at the NADAC (North American Dog Agility Council) competition at Spruce Meadows in Calgary. 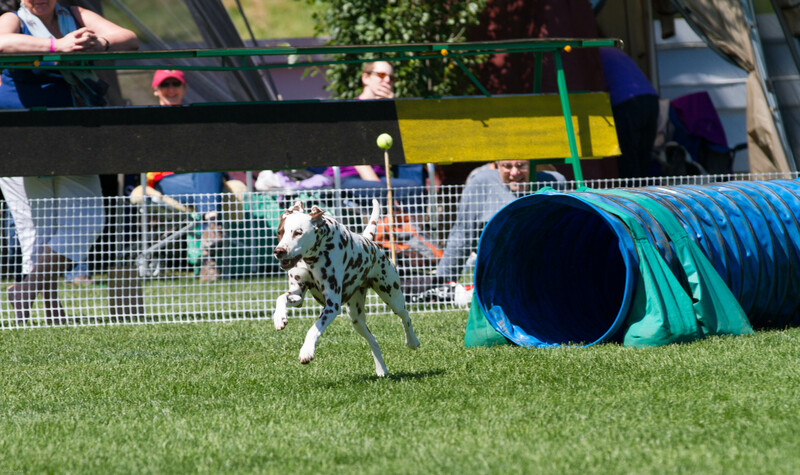 This competition was running in conjunction with the AKA (Alberta Kennel Club) Summer Classic. 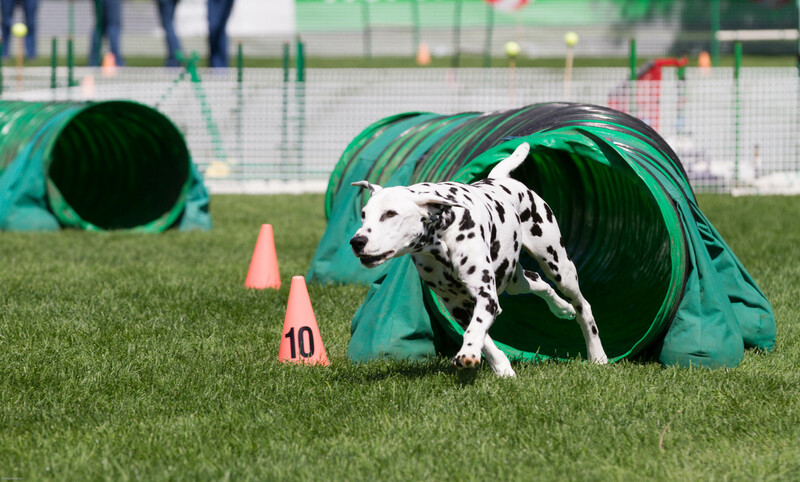 In addition to regular agility classes they have classes called: Jumpers, Tunnelers, Weavers, Touch N Go, Hoopers and Chance, you can learn all about them on their website. Coach doing the hoops portion of the course. 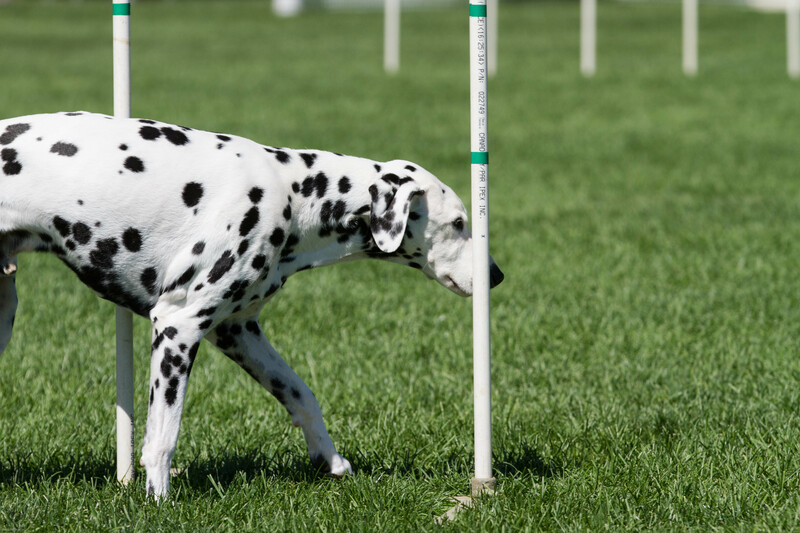 All dogs can compete including mixed breeds and dogs with disabilities. Sandy is a veteran competitor. 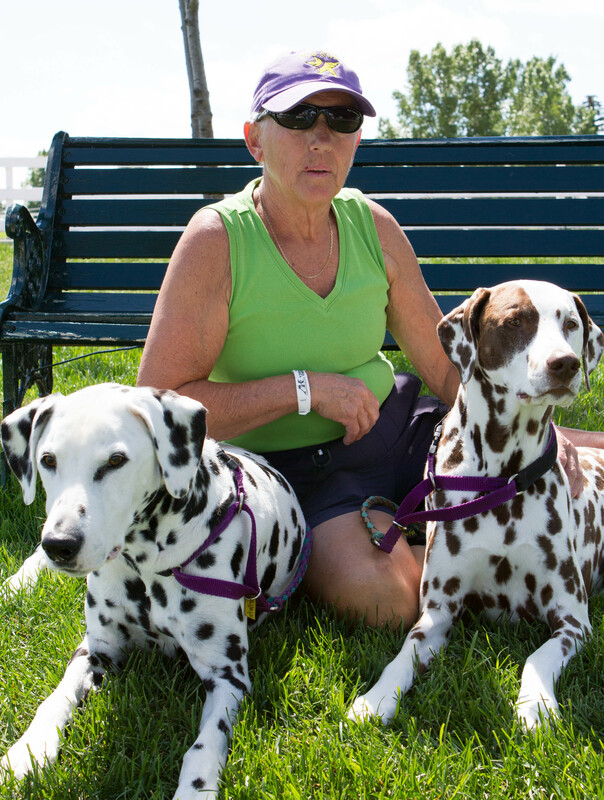 She and her dogs compete with NADAC and also the Prairie Dogs of Spruce Meadows. It was fun watching them work together; none of them are speed demons but they sure get the job done, having fun all the while. It’s hard to believe that Coach is 10 years old and Dexter 8 years old. 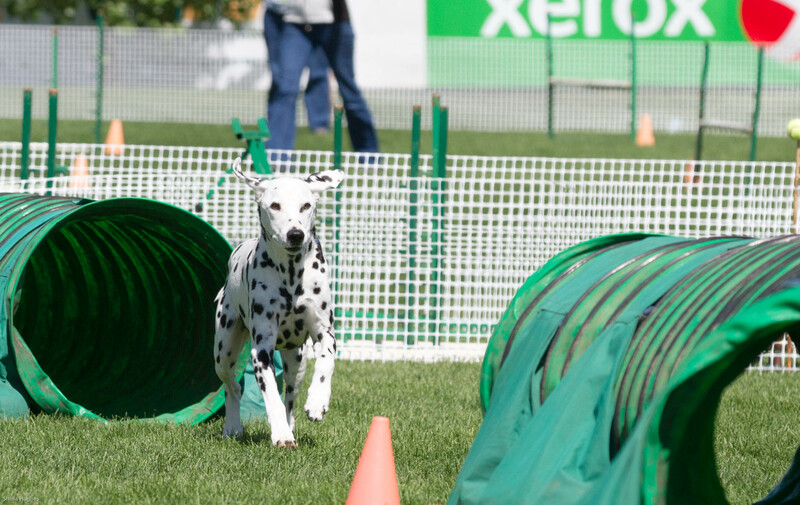 They started competing in agility when they turned 2 years old, they are seasoned professionals now. 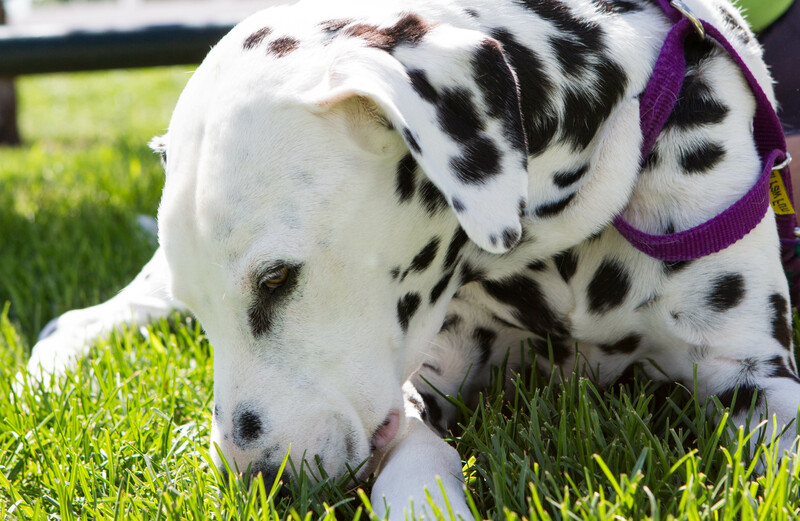 I am so glad I got the chance to meet Sandy and her well loved spotted dogs. 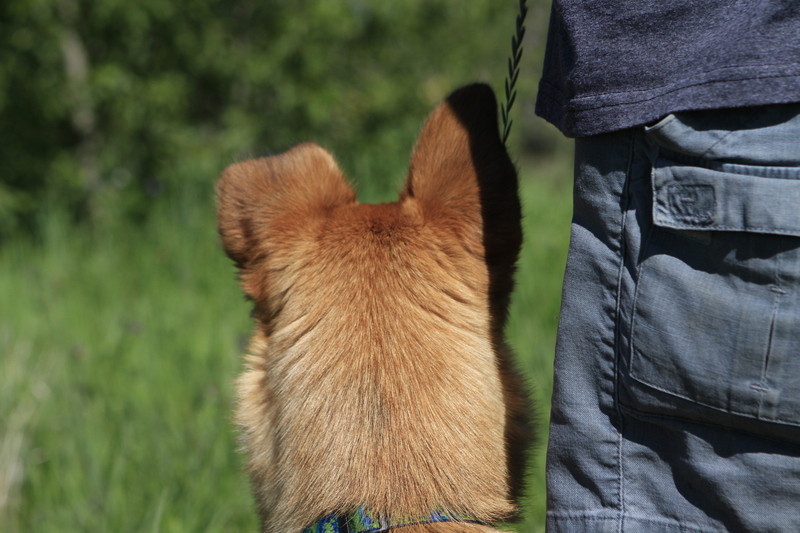 Number 47 – Meet Molly and her person, Mark. After almost a month’s time (from the massive flooding here in Southern Alberta) we are finally out walking again at the greatly changed Black Diamond Off Leash Area. Mark and Molly had not been out at the Park since the flooding either mainly because the bridge between the towns of Black Diamond and Turner Valley was washed out. The normal 5-minute drive between towns now took 45-minutes with detours. Lucky for Molly she lives on a beautiful 20-acre property with her family but I would say she was extremely happy to be out meeting and greeting other dog friends particularly since she is only one year old. Molly came to live here from somewhere in the Northwest Territories. Mark’s daughter found her on line through one of our many local rescues and fell in love with her, as did Mark and the rest of the family. Molly has many other four-legged friends at home of the canine, equine, (and I believe feline) species. 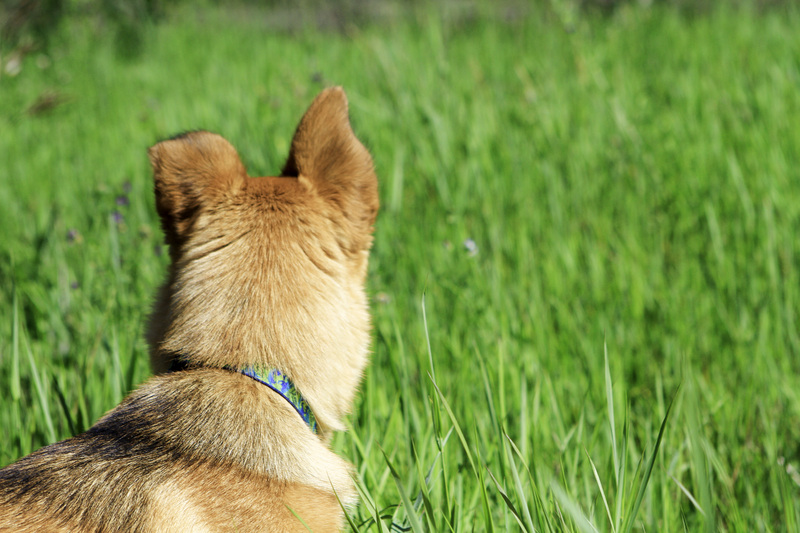 They have a Norwegian Elkhound as well but she was at home waiting for her own walk time with her dad. 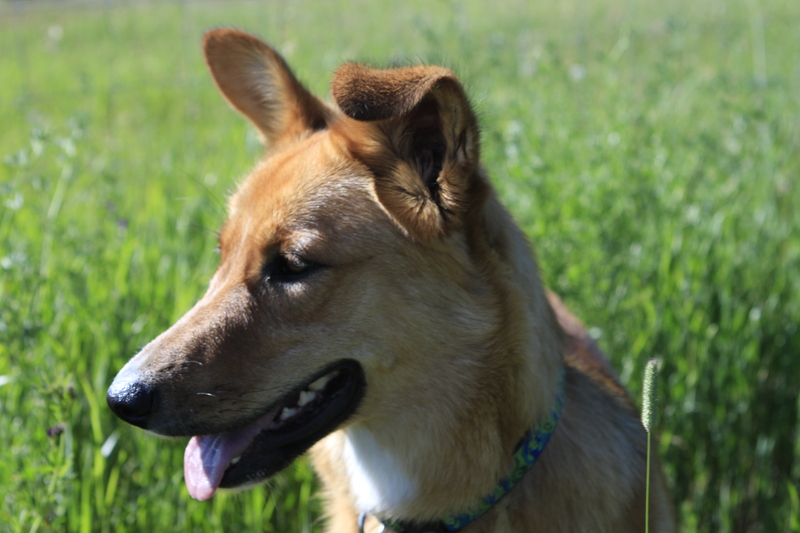 Molly is a very sweet, playful girl and as you will see has the most adorable floppy ears. What Are We Looking At Dad? So glad to be able to get out and meet new dogs and people, the flood had put a damper on all our outdoor fun…but we’re back! 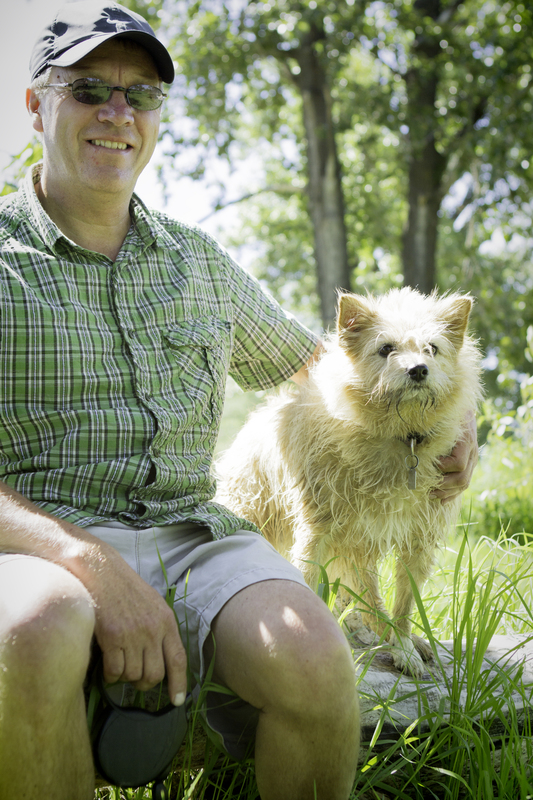 Number 46 – Charlie and his adorable girl Baffin are regulars at the Southland Off Leash area. Charlie & Baffin, Best of Buds! 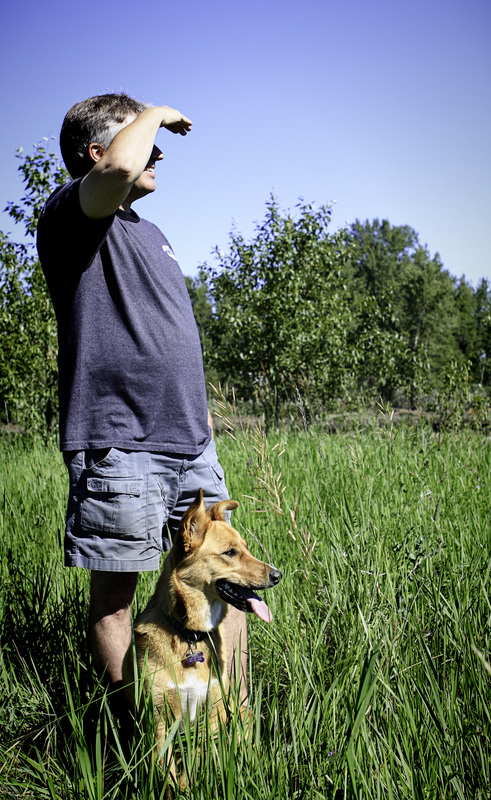 Lucky Baffin, a 3 1/2 year old mixed breed pup, gets to walk about 3-4 hours a day with her person Charlie, here, as well as other great off leash areas around Calgary. Baffin was originally Charlie’s daughter’s dog but came to live with him about a year ago as he had much more time to spend with her. 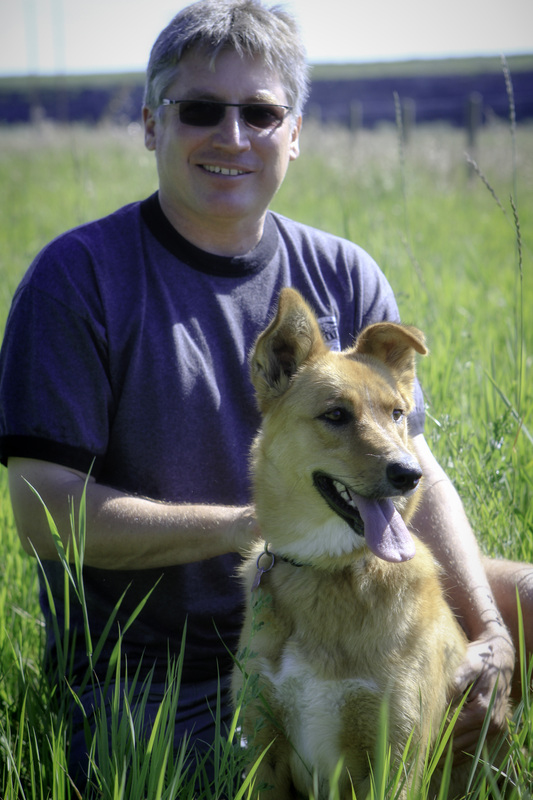 She adopted her through Rocky Mountain Animal Rescue near Canmore Alberta. 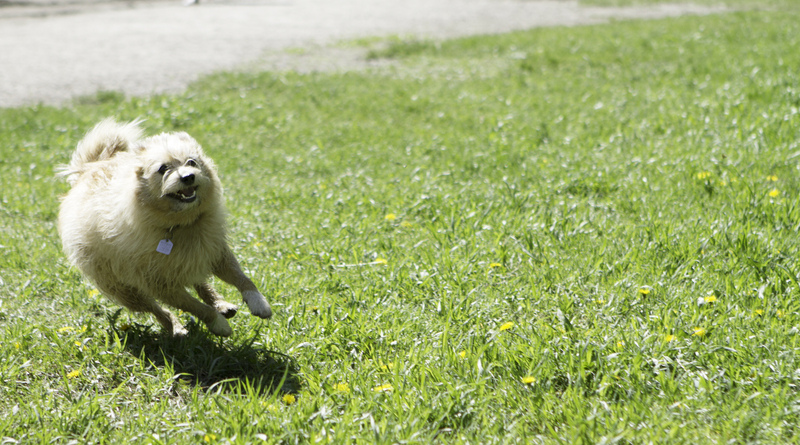 Baffin (aptly named) came from Baffin Island in the Canadian territory of Nunavut when she was about 2 years old. Charlie isn’t quite sure about her life before being picked up as a stray, but it seems most likely she had to fend for herself. 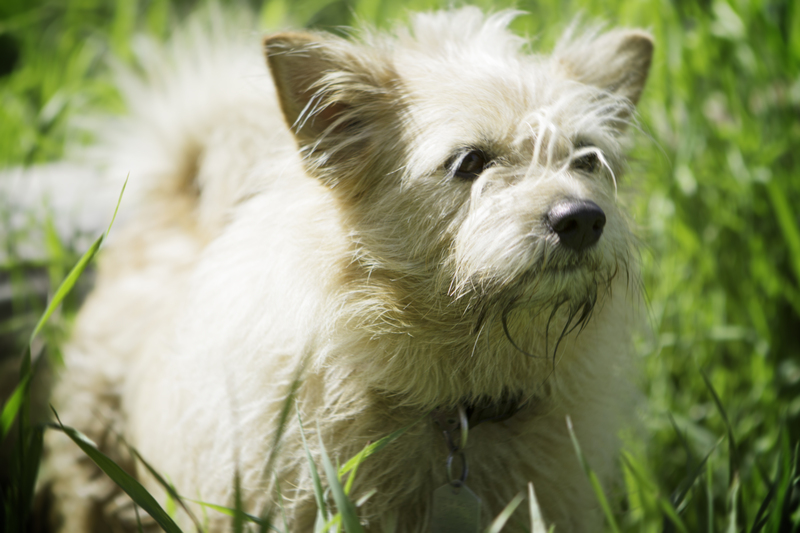 Baffin is a confident, friendly little dog, with no signs of any previously negative experiences. You can sure tell she loves every minute of her life now. She loves the water, zooming around, meeting other dogs and people and digging holes (there has to be some terrier in her). 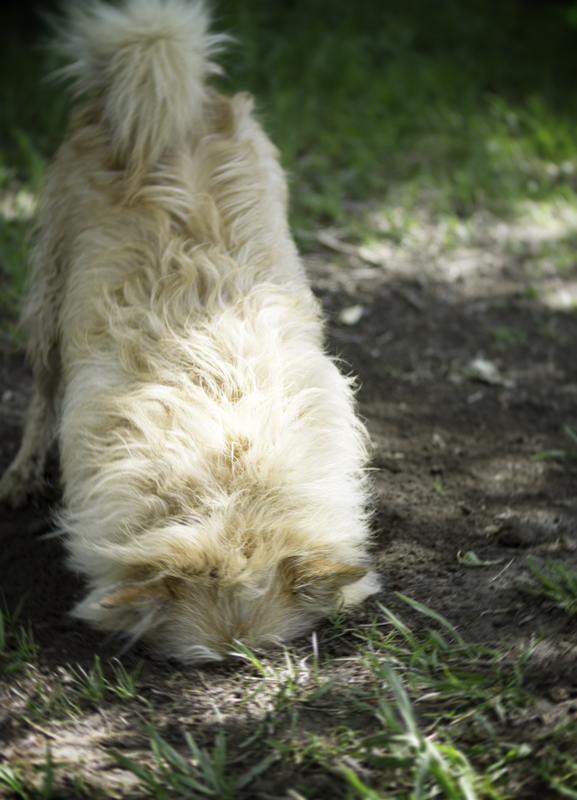 Baffin In Full Dig Mode! 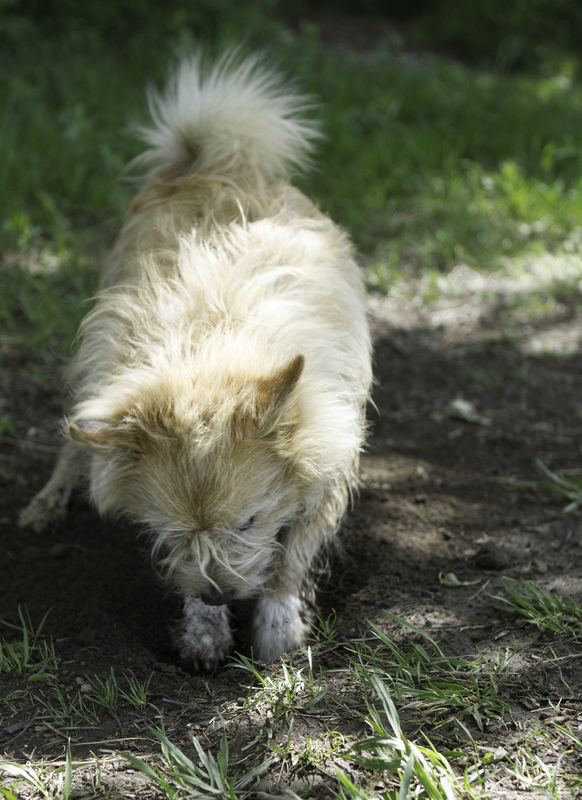 Nothing Says Fun Like Digging in a Hole! What a great life she has now with Charlie and what a strong bond they have together. Baffin Loves Her Person, Charlie! That last picture of Baffin captures the connection between her and Charlie perfectly. Good shot. Thanks Jo-Anne! I love that one too, it was my favorite. So glad to hear that! Let me know if you want any copies and I can mail/email them to you. It was great meeting you as well. 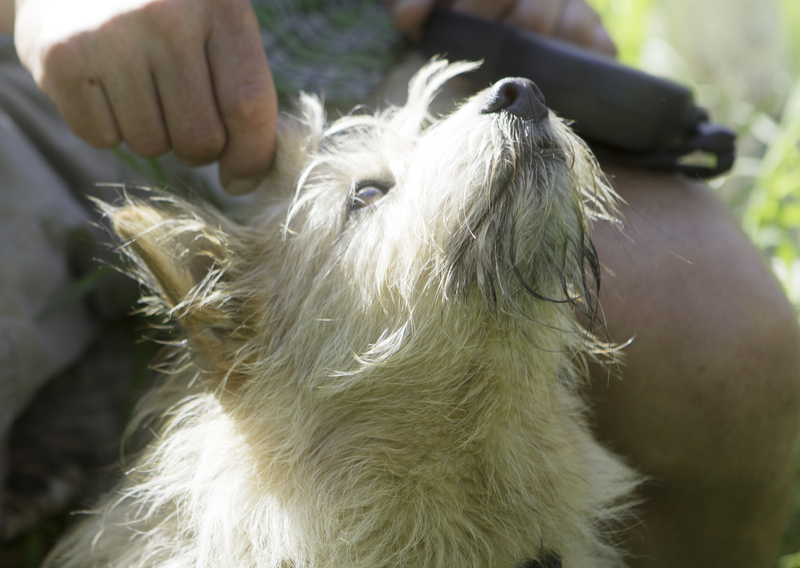 Give Baffin an ear scratch for me!